Cooler Master send out a press release to announce the products it will show off at the Mobile World Congress in Barcelona. These are the products that were previously marketed under the company's Choiix brand (whose name was canned in December). For the second year in a row, Cooler Master will attend Mobile World Congress (MWC) in Barcelona, Spain from February 27th until March 1st, 2012. This congress is the largest mobile industry event in the world. It showcases exciting new developments surrounding smartphones and tablets. Mobile industry-related companies from all around the world gather to make new product and technology announcements and explore business opportunities. 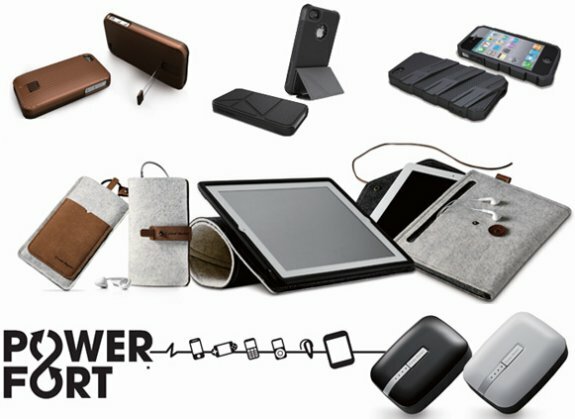 Cooler Master maintains its focus on expanding its line of high quality mobile accessories which makes MWC a perfect event to display many of its upcoming new accessories. At MWC, Cooler Master will introduce a range of accessories that are specially engineered to make a typical on-the-go life much easier. These are focused on protecting and / or charging your mobile devices. This includes solutions for usage in your car or at your desk. All of these new and exciting products will find their way to resellers all over Europe later this year. See below for a sneak peek at Cooler Master’s upcoming product display. Cooler Master offers a wide range of protective solutions for iPod or iPhone. Protect your iPhone or iPad with a touch of class with our collection of fine cases. These are made from water resistant materials and are perfect when you are on the road. The synthetic wool material protects your device while affording it a certain panache. It also serves to assist in the prevention of bumps and scratches. Given that smartphones and tablets are destined to be constantly on the move, our power solutions help you keep your devices charged up and ready to go for that next inevitable adventure. These power solutions come from our Power Fort line that contains portable battery chargers that provide instant power anytime, anywhere. Power Fort can charge almost every electronic device with a USB port which includes mobile phones, tablets, portable gaming devices, and MP3 players.